Times Higher Education: "What keeps university staff awake at night: The social scientist"
Quartz: "The trend of fake Instagram accounts exposes the troubling way that work is taking over our lives." 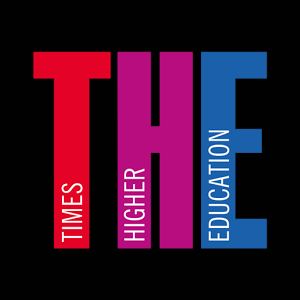 Times Higher Education: "Is self-promotion hurting scholarship?" Yale Books Unbound: "The (False) Promise of Social Media Self-Enterprise"
I was featured on an episode of Innovation Hub with Kara Miller about "Diving Into the Aspirational Economy." I was interviewed by BBC Radio for a segment on social media influencers. YouTuber Gaby Dunn interviewed me for Vox, "Thousands of women try to make a living blogging and vlogging. Most fail." Quartz ran a feature on the book, "Becoming a social media “influencer” is the new unpaid internship, and just as exploitative." I was interviewed for a podcast about "The Challenges of Being a Social Media Star." Dave O'Brien interviewed me for a podcast as part of the New Books Network. UOL Economia (Brazil) featured an author interview. Marie Claire (Belgium) provided in-depth coverage of the book. The Library Journal included a starred review.